To be the best in real estate or in any other endeavor you must give life 100%, have a genuine interest in people and their best interests, and believe that hard work and integrity go hand in hand. Anita believes in these philosophies and has over 30 years of real estate experience. She has carefully selected a team of real estate professionals to help you quickly and effectively get the home that is perfect for you or sell your home for the highest price in the shortest amount of time. 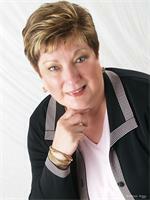 Anita began her career in residential real estate in 1985. She spent two years working for an ERA Franchise. In 1987 Anita moved to Cressy and Everett, a traditional real estate company, becoming one of their Top Producing agents. Over the next 30 years she sold over 250 million dollars of residential real estate. With her intense creativity plus her unrelenting desire to become a better agent, Anita decided to rededicate herself. In October 2001, she decided to take her real estate business one step further and joined the country's top office, RE/MAX 100. Anita uses her extensive experience to make buying and selling a home enjoyable for everyone. She wants to become your Realtor for Life.